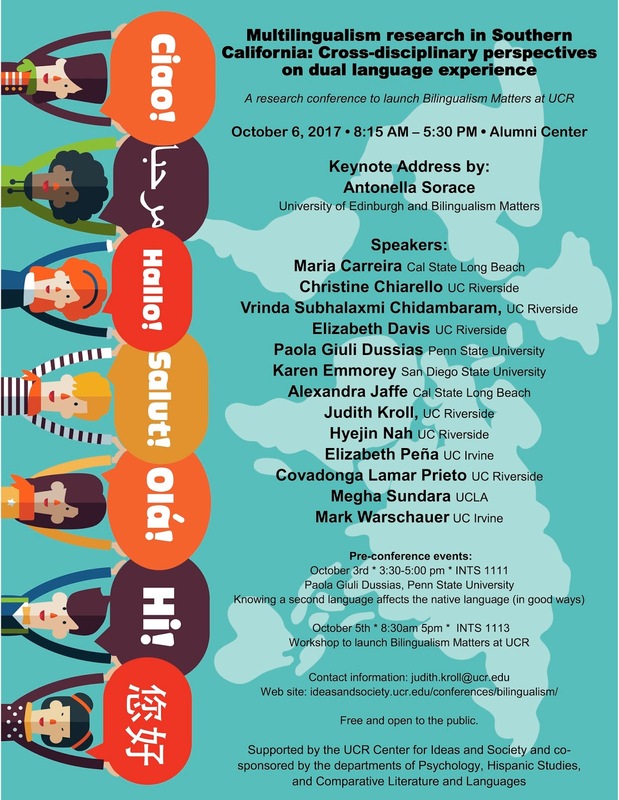 On October 5, 2017, the University of California, Riverside, will launch a new branch of Bilingualism Matters (http://ideasandsociety.ucr.edu/event/bilingualism-workshop/). Bilingualism Matters (http://www.bilingualism-matters.ppls.ed.ac.uk/) was founded in 2008 by Professor Antonella Sorace at the University of Edinburgh to bridge the emerging research on bilingualism with the experience of bilingualism in the community. In the almost ten years since its founding, there are now 18 branches, including two in the US. Our new branch at UCR will be the third in the US and the first on the West Coast. We hope to engage researchers and community members across Southern California to develop a network that connects research on multilingualism to the local communities in which speaking more than one language is a typical feature of life and work. We also invite you and your students to submit posters for presentation on October 6. We will accept the first 30 poster submissions. Guidelines for poster dimensions will be available by September 1. We welcome posters that report research findings and also posters that describe community programs. Poster titles and brief abstracts (no more than 150 words) can be sent to Judith Kroll: judith.kroll@ucr.edu. We thank the Center for Ideas and Society at UCR, the College of Humanities, Arts, and Social Sciences, and the Departments of Psychology, Hispanic Studies, and Comparative Literatures and Languages for their generous support to enable Bilingualism Matters at UCR. Again, each of these events is free and open to the public. 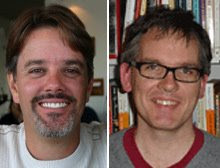 We ask only that you register if you plan to attend the conference on Friday, October 6. Please feel free to share this information with others who may be interested and close enough to join us. We look forward to welcoming you to UCR!